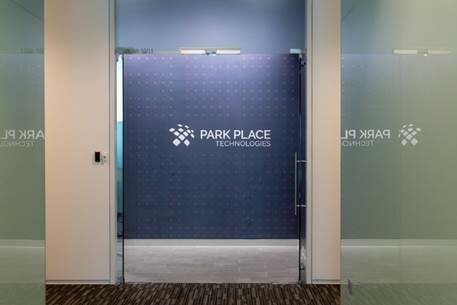 Park Place Technologies has announced the launch of its Asia Pacific (APAC) headquarters in Singapore. The workspace located at ARC 380 in Jalan Besar is situated on the fringes of Singapore’s central business district and promises to offer an eclectic mix of work and play. Founded in 1991, Park Place Technologies provides an alternative to post-warranty storage, server and networking hardware maintenance for IT data centers. With 24/7 access to a global contact center, support from the industry’s most advanced engineers and a wide array of industry-leading services such as ParkView™, Park Place Technologies empowers its customers to improve operational speed and maximize uptime. Spanning across 3,000 square feet, Park Place has strategically expanded its APAC headquarters in a bid to bolster growth and deliver more direct support in more locations across the region. A key reason for the expansion is the company’s commitment to offering new and existing customers more accessible, cost-effective, flexible and impactful solutions that help to drive uptime. With the launch of the new headquarters, Park Place aims to increase its headcount by 50% over the next three years to accommodate its growth plans throughout the APAC region. Its recent acquisition in October with Solid Systems CAD Services (SSCS), Houston, Texas marks its ninth acquisition in the last two years. The acquisition of Axentel Technologies’ businesses in Singapore, Malaysia, Hong Kong and the Philippines in 2018 made up one of the nine acquisitions over the last two years. Park Place Technologies will continue to expand its global footprint as the market leader, setting the pace for data center maintenance services in the industry. Last month at the Data Centre World Singapore 2018, Park Place had recently marked a first for businesses in APAC with the launch of ParkView™, a remote triage end-to-end service platform that enables predictive detection and identification of hardware faults that occur within a data center. Using AI and machine learning, ParkView™ revolutionizes visibility into data center infrastructure and operations, enabling faster response and problem resolution. Constantly future-proofing its market approach and innovating ahead of the curve, Park Place continues to provide companies with the best possible support experience by investing in new technologies that drive uptime and value for customers in the APAC region.